How many times have you been invited to a wedding? Surely, more than once. And it’s always a struggle to find what to wear. Why? Easy, we are women! We would be elegant, shining, beautiful, and everytime with a new dress on. What if these dresses have also a little price? The answer to your question is Gina Frantini. Is your best friend getting married? No problem, because Gina Frantini has for you a large variety of dresses for every taste. What's amazing? If you don't fit the size they have in stock, the dress can be customed on your measures. Are you a bride-to-be? Maybe you’ll need dresses for your bridesmaids. Everyone knows it’s not easy to dress many girls with different tastes and budgets, that also fit your idea of wedding. So, why not having a look between Gina Frantini bridesmaid dresses? The wishes of a bride will be surely satisfied. 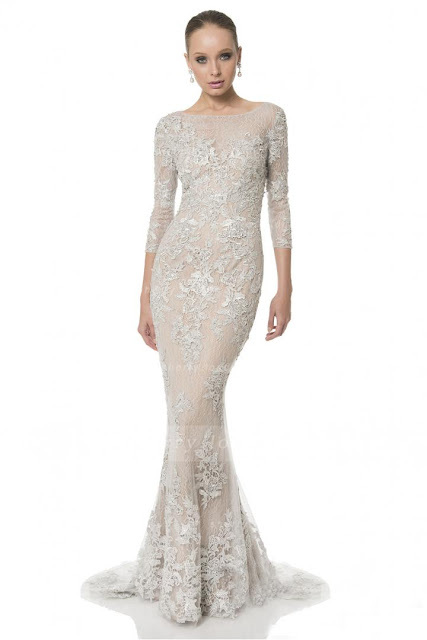 I love the most some lace prom dresses you can see on the site (this one is my favourite!). For all the no more little girls outside there that always dreamt the perfect dress for the prom, put out the idea that is into your head and find the prom dress you was looking for! Maybe it’s your first wedding anniversary with your husband and you want to look bright and fabulous? For a dinner out with the love of your life, there are amazing evening dresses. Sparkle, sparkle, sparkle, and not only. Long, short, lace, chiffon, it doesn't matter : all of them are just waiting for you.